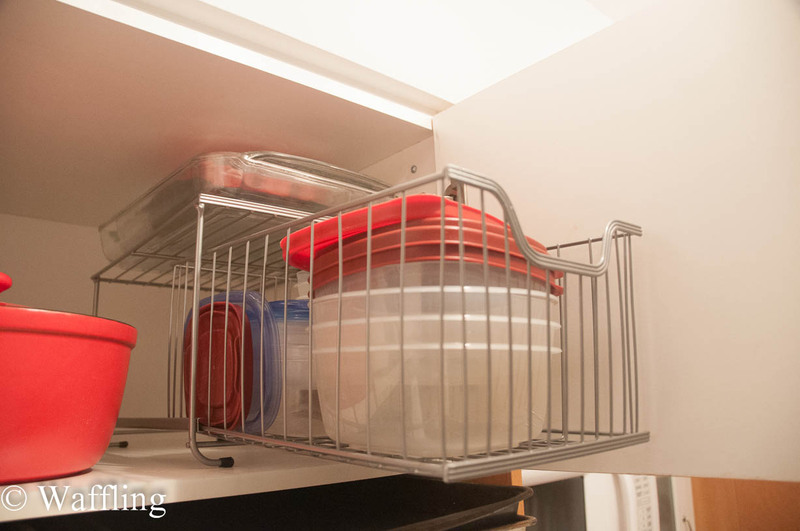 You know all those ads that you see on the Shopping Network or late night TV for plastic storage containers (or even glass, but who wants to lug heavy glass around?) and they all claim to be "so easy to store"? They come with stands to mount your containers and lids, or the lids snap in in some magic way, or some other gimmick. Well I am here to burst their bubble- none of us can bother to do any of that and containers always end up a mess and all the lids go missing no matter what you do! 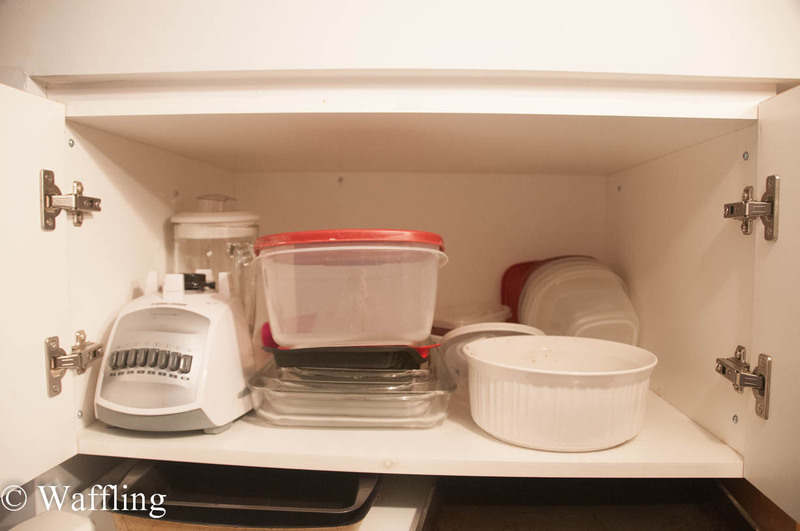 Actually, I am missing a lot of lids mostly because of the day I learned Rubbermaid lids do not go in the bottom of my dishwasher. I couldn't find a source for this? Anyone know where this is from? Actually, I am pretty sure that these are even the same containers that I own! Since I lack drawers, I have found the best place to store my containers is above the fridge. But this cupboard is actually really deep! Every time I put clean containers away I just shove them in the front and the older stuff moves to the back. Kind of a problem because I can barely reach the back, even when on my stool! This means the tiny containers and lids are always impossible to get. Not to mention I also just got myself a stoneware dish (that I made my bread in!) and I wanted that dish to be stored up here. 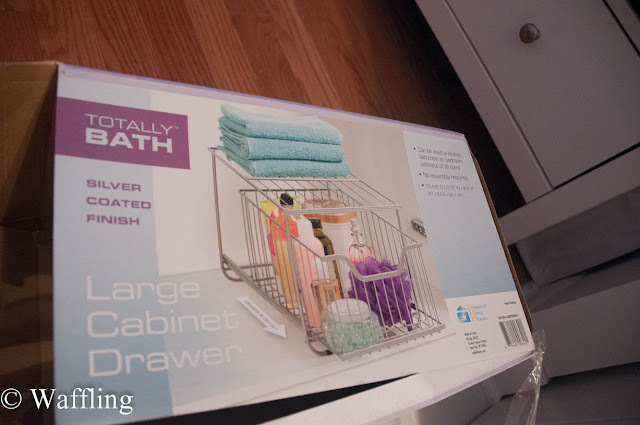 I had some ideas about installing a rolling drawer in here, but I knew that would be a lot of work and expense! I don't have a power saw or even access to a place that sells wood, so I cannot even begin to tell you how big that small job would be! Then yesterday I was walking around the Winners at Dufferin Mall (which ALWAYS has empty shelves in the home decor section- do they ever stock it?) and I stumbled upon this! 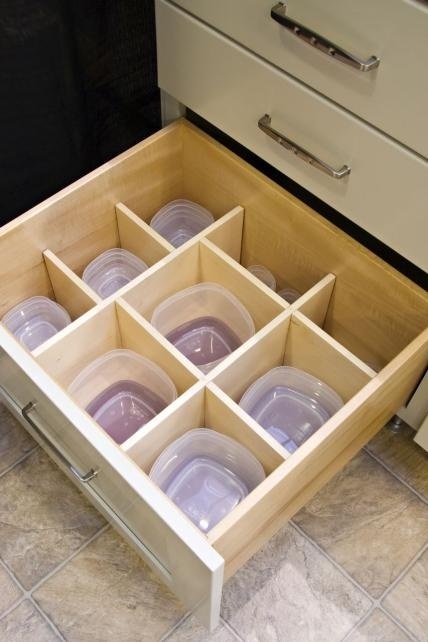 Clearly they intend this to be the type of drawer you install under the sink, but I knew it would be just the right size to corral my containers and add a bit of extra storage with the shelf. It was $19.99, which actually seemed quite reasonable to me so I picked it up and carried it home. Every thing now fits in great! The shelf was taller than I expected (I thought I could store my large containers on top) but it was the perfect size for the Pyrex dishes (I stored the big containers behind my new stoneware). Everything now has a place up here and it should be so much easier to find the right size container and lid now. I also cleaned out my collection and found two lids that didn't have matching containers! Weird. 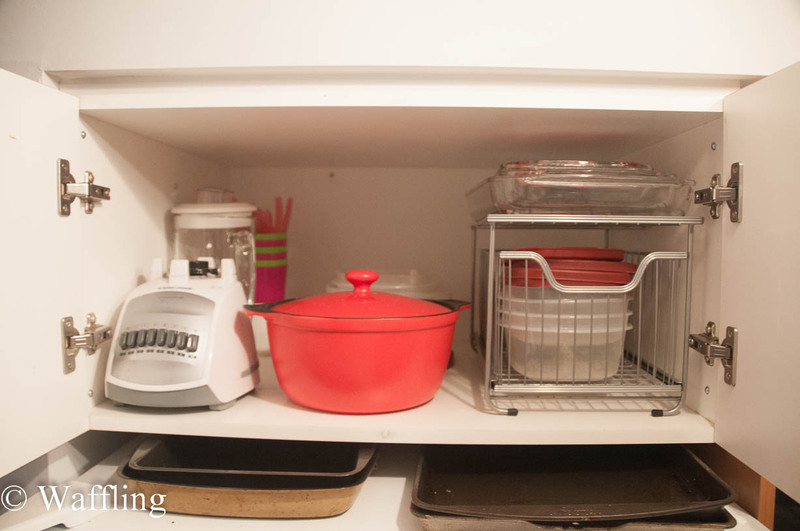 I know organization is a big New Year's resolution this year, so please leave me a comment with how you are cutting down on the clutter too! Hi Casey, I just found your blog through your comment on YHL today. I admire you and wish you well in your adorable condo. My husband and I live in Virginia and I wanted to encourage you with the no eyebrows thing b/c of the aloepecia. (My nephew is dealing with that so we understand some of what you deal with.) 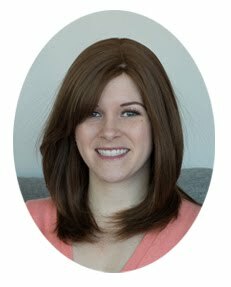 I had breast cancer 12 years ago and the various treatments left me with hardly any eyebrows. I have great success in using the make-up brand called MAC. I buy their eye shadow (and it lasts forever) in the color called "Omega" and use a tiny make-up brush, a tiny angled one. I just rub it into the eye shadow and with tiny strokes apply it to make my eyebrows. It is soooo much more natural looking than a crazy harsh pencil would be! I think you may be pleased with the results---maybe you'd never thought of trying it. I hadn't thought of it either until I was at a MAC counter with a make-up expert and she suggested I try it. So glad I did! (I wish I knew how to send you a close-up pic to show you what I mean but I don't know how.) Anyway, take care up there---God bless you. Great idea, Casey! I have a not-enough-space dilemma going on in my kitchen cabinets right now. That is, I have space, it is just not being utilized properly. I'm thinking of installing a hanging wine-glass rack on my kitchen wall with a shelf to function both as a place to put my wine glasses AND as a place to set some pictures/do some decorating. That would free up some space in my cabinets for food! I'll blog about it when it is done - sometime this year! ooh sounds like an awesome idea! Karen L- I have been getting your comments through my email, but I cannot find them on the blog or my blog account! Im posting them here so you dont think I am deleting them! haha. Thank you for both! I actually use a temporary tattoo for my eyebrows that I buy online. And I havent heard of that book- it sounds really good though! thanks for the recommendation!